Did you know that rule 57 of the Highway Code, stipulates that your dog must be restrained when travelling in a vehicle? In fact not only could you be fined £2,500, but you can also receive penalty points on your licence and in some cases, a ban and even a compulsory re-test! Insurance companies may not even approve a claim, if you are found to have an unrestrained dog in your car and are involved in an accident. 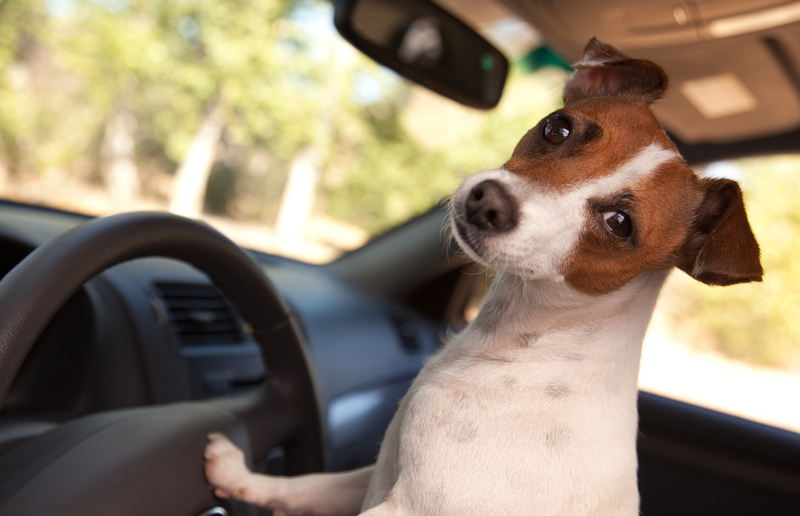 It is not just good old Fido, who may be using your car. Even small furries and cats may require securing, for example, if you are moving and need to transport them to a new location, or more commonly, when visiting the vets. Start young: Animals are far more inclined to tolerate and even enjoy car trips, if your start from a young age. Have them sit in your vehicle while it is stationary and then start the engine. Later once they are acclimatised to the running engine, try taking them on short trips. Regular breaks: If you are making long journeys, ensure that you take regular breaks in order that they may enjoy a short walk, where they can have a toilet break and a drink. Remember to keep them cool in hot days. If you do not have air conditioning, invest in a cooling mat and keep a good stock of cold water. 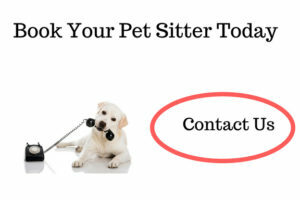 Allow your dog to sit on your lap. IT IS AGAINST THE LAW AND CAN BE DANGEROUS. Allow your dog to lean out of an open window. This is distracting for other drivers and a dog could easily bang their head, or in worse case scenarios, fall out and suffer serious injury or even death. You would not allow your baby or young child to travel unsecured, so please be mindful of your pets. They, like your children, can suffer injury and can also affect any passenger travelling with them, if they are not safely restrained. 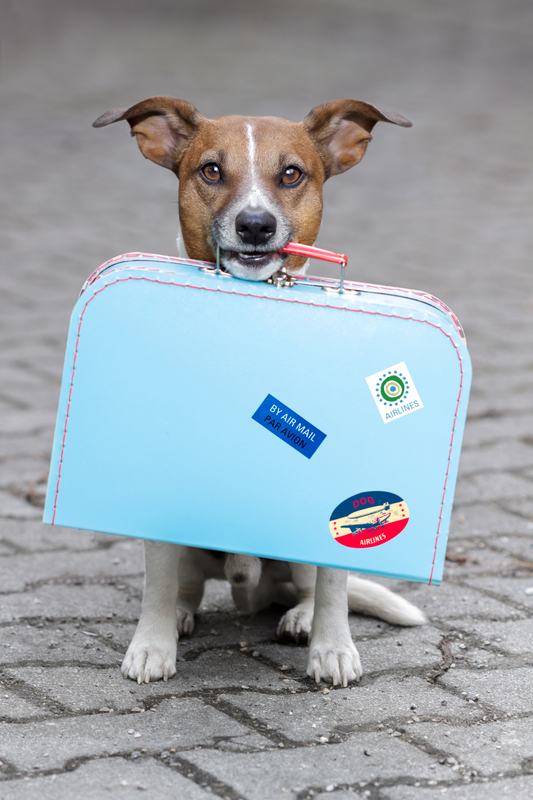 Dogs love interaction with their owners, so a weekend away would be a fun treat for both. 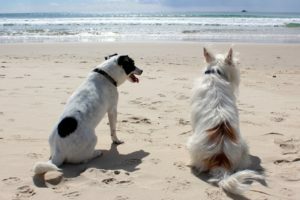 Whether it’s a leisurely stroll on the beach, or an amble through leafy forests, dogs are a wonderful ice-breaker and taking a cute dog on a weekend break, could also land you the perfect mate! Valentine’s Day is all about caring for those you love, so why not donate to your local rescue centre and spread some love to those animals who need it most. 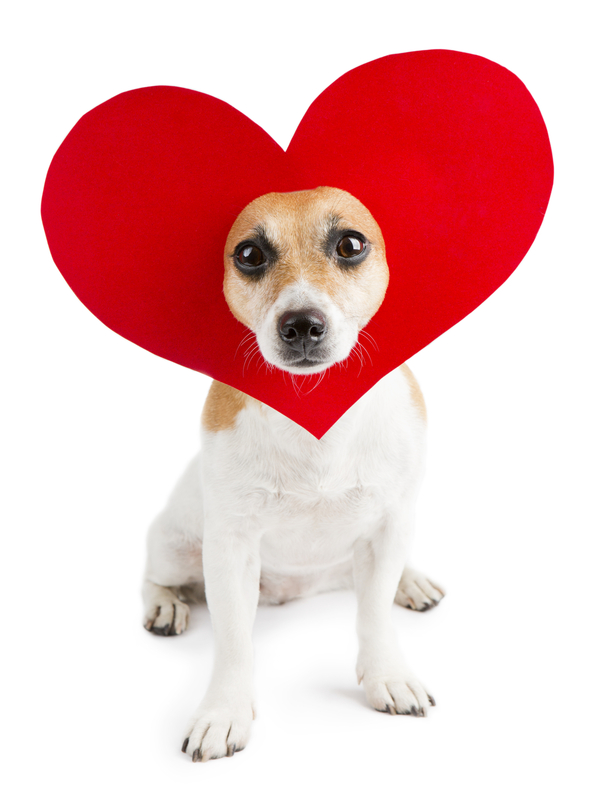 Dogs adore food and what better way to say ‘I love you’, than a homemade treat. 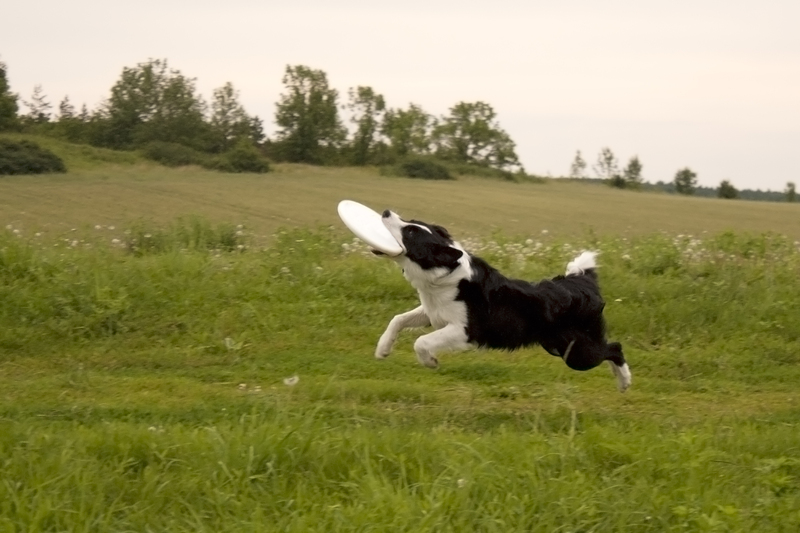 What dog doesn’t enjoy playing a good game of ‘fetch’ and exercise is also great for reducing your waistline! Playing and interacting with your dog is a wonderful way to keep them stimulated and you physically fit and they thrive when they are able to engage in these types of activities. Dogs simply love affection and snuggling with their owner is a delight shared by both. Put some popcorn in the microwave, open a bottle of Prosecco and snuggle down with your dog with Marley and Me, but don’t forget the hankies! Just as with humans, our senior dogs suffer from age related problems and senility. The problem is however, is that they cannot always show us what is wrong. There are certain breeds like German Shepherd Dogs, who are extremely stoic and will often hide their pain, so it is important to look for signs of discomfort and agitation. 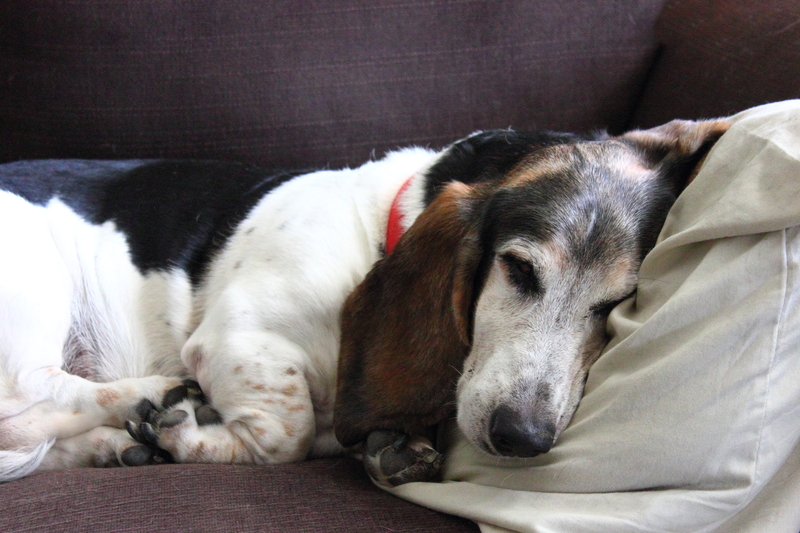 Senior dogs with arthritis, can be sensitive to touch and resent normal handling. 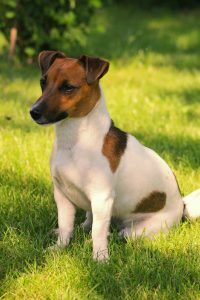 Sudden snappiness or aggressive behaviour is a sure sign that your dog is feeling out of sorts, or hiding away instead of coming to greet you. Changes in their eating pattern, excessive drinking and sleeping throughout the day are all indications that your dog is unwell. Our eleven year old German Shepherd is now heavily panting, even though is had no exercise and is noticeably stiff when he awakes from a nap. Senior dogs do not have the reserves of a younger dog, hence time is crucial. It is far better to err on the side of caution and get your dog checked out as soon as you can. You may also want to take more frequent trips to the vet, based on your dogs symptoms and be careful to administer the correct dosage of medication when prescribed. For senior dogs with joint problems such as hip dysplasia or joint issues, you may want to consider giving your dog a ramp, to enable them easier access to the stairs or your car. 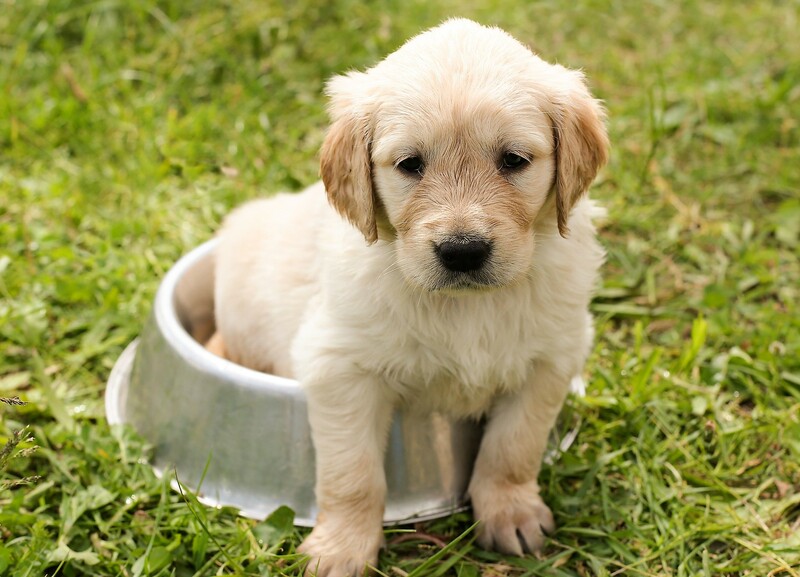 Keep their foot and water bowls within easy reach and provide non slip mats on wooden floorboards or slippery floors. Heat pads can relieve a senior dogs achy joints, but check them regularly, to ensure that they are not too hot and follow the instructions carefully. It is extremely difficult to see your once playful puppy turn into a senior dog with health problems and know that their time with you may be limited. They may have their ailments but they still feel as much love and loyalty as they did in their younger years. Sudden death is a rarity and it is more likely that they will give clues that they are nearing the end of their lives. There is a strong possibility that you may be faced with a heart wrenching decision about when to say your final goodbye. Dogs that have been ill for sometime may fall peacefully to sleep, but it is more likely that their quality of life will diminish rapidly, forcing you to make a painful decision. It is important to remember that the rapid advances in veterinary technology may prolong your dogs life, but it is not always in their best interest to do so. Your last loving act may be that of euthanasia, setting your dog free from their pain and suffering. Only you know what decision to take. When you see the suffering in your dogs eyes and their inability to cope with the smallest things, like eating and drinking and when their quality of life has completely diminished. Having your dog put to sleep is the most difficult decision you will make for your dog and I would implore you to stay with him until his very last breath. Try to stay calm, remain strong and if possible, hold them until they quietly slip away. Just like losing a human family member, you must take the time to grieve. The loss of your pet can have a severe impact on your health so consider counselling or a support group. Dogs are with us through tears and our happiness and often are there when our family are not and their passing can leave a huge void in our lives. Acknowledge your grief, since it is an essential part of your healing. Take as long as you need and cry when you feel the need. Is it time to ban cats? 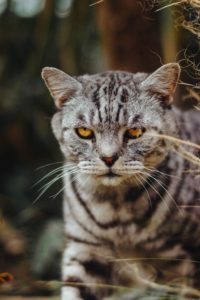 The view of cats being murdering menaces, is shared by people who continually call for cat owners to keep their animals inside, or at least ensure that they are fitted with bell – collars to help prevent them from hunting and killing wildlife. Dr Peter Marra, a world bird expert was recently interviewed on on radio 4’s Today programme and stated that cats were killing billions of birds each day. For this reason, he stated that cats should be banned from going outside. He also stated that all free roaming/stray cats, should be euthanised if homes could not be found! There are thought to be approximately 8 million cats in the United Kingdom and it is thought that they kill around 55m birds a year, but they mainly predate on the sick, the weak and the young. As a cat owner, I cannot dispute that of all three of my rescue cats, the eldest, will take any opportunity to desimate our local wildlife. Predation is an inherant trait but it is their purrs and snuggles, which is a side that makes cats the perfect companian. So aside from keeping our cats indoors, what other measures can we take to give our wildlife a fighting chance. Well, you could fit a bell to a quick release collar. Theoretically, the sound of an approaching cat will alert their pray and help them to ellude capture, however, in practise it makes little difference. Cats are too clever! In short I see little evidence that our cats are responsible for driving our wildlife to extinction. The RSPCA also state that they see little evidence to suggest that cats are responsible for our declining bird population. Many of our cat clients are turning to cat proofing their gardens. The solves the dilemma of keeping cats in a safe environment and allowing them to enjoy the outdoors. Outdoor cats are also at risk from traffic dangers and sadistic people who relish the opportunity to injure and kill domestic pets. It will also prevent other cats from entering your garden, which can be a source of stress for many cats. Cat proofing your garden will limit your cats access and you will need to work harder to enrich their surroundings and keep them entertained. A bored cat will be tempted to nibble your plants, so you will need to ensure that there are no toxic plants in that area. Slug bait and poisons used to control pests are extremely hazardous and should never be used near your cats. Planting some cat nip and erecting a few platforms, will ensure that your cats remain happy and content while outdoors. There is an old saying with regard to overfeeding your dog and that is quite simply, ‘killing your pet with kindness’, or what you perceive to be kindness. Of course dogs relish the opportunity of a cooked sausage or two and look at those eyes when they see you reach for their treat jar. Sadly the reality of too many sausages and treats, can be an overweight dog causing lasting damage to your pets organs, bones and joints, leading to heart disease and high blood pressure. You can start by consulting your vet, who will advise the best diet for your dog and work with you to ensure that weight reducing and management, will be controlled and done in the correct manner. They will also take into account your dogs exercise regime and calorie intake. It could be that just cutting treats altogether is all that your dog needs to shed those extra pounds. If this is the case and once your dog reaches their ideal weight, a slightly longer exercise regime, is all that is required to maintain a healthy weight. It is so important that you hold firm when Fido offers those pleading eyes. 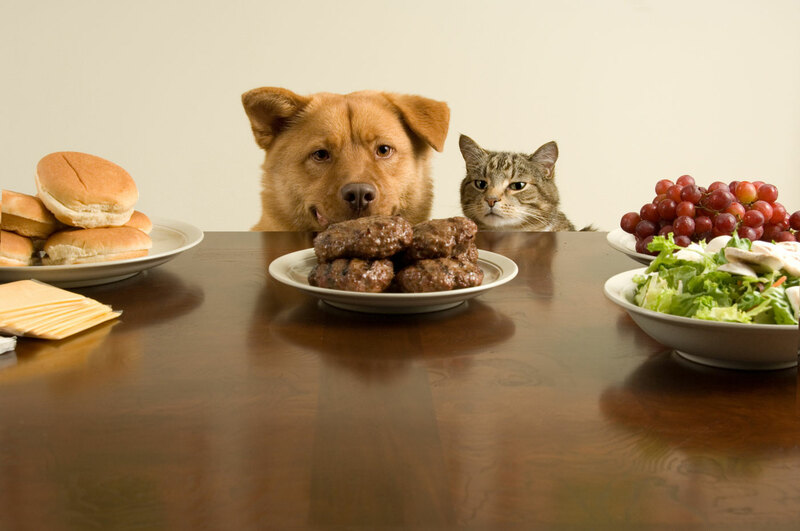 Remember it is for their own good and if you are serving the correct portions, giving more food/treats will only add to more weight issues. 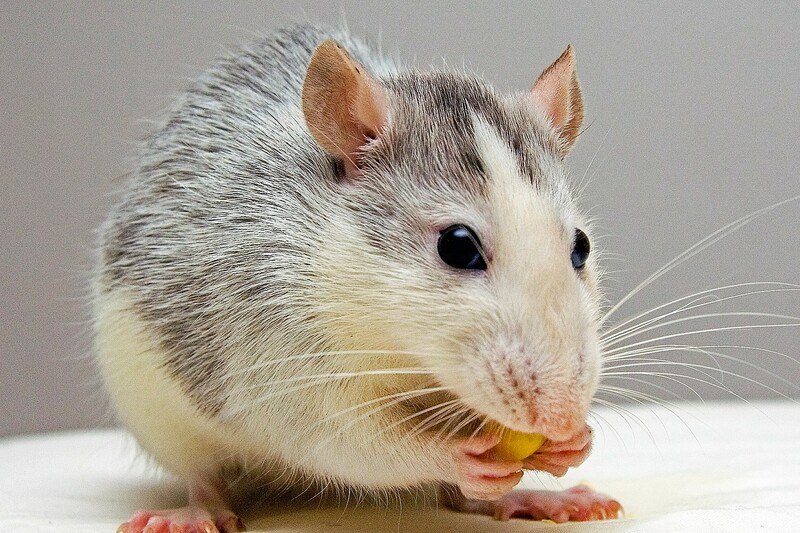 Begging is a trick that they will quickly learn to exploit, so put them away while you are eating. Increasing their exercise alone, is not enough to reduce a dogs weight, although it is very helpful. You will need to start gradually, little and often, being mindful of older pets, especially in hot weather. If your dog enjoys playing, outdoor activities such as hiding a favourite toy, will also stimulate their mind, as well as reducing their waistline. Treats do not have to be like those found in a local supermarket packet. Pieces of carrot, small slices of cooked liver, or chicken can be ideal, but remember to adjust their main meal accordingly. Neither are treats essential and should always be given in small quantities such as the size of a fingernail. Be patient with any weight loss/weight management program. 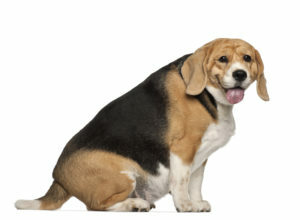 It may take a few months before your dog reaches his/her target weight and be sure to seek veterinary advice and guidance before a diet is agreed. The best solution for someone who has more than one dog, is to feed them separately. Do not leave food out when you are away from the home, since you cannot control who eats what when you are not around. For the majority of overweight dogs the key to weight loss success is commitment from their owners. Dogs do not understand the implications of being overweight and rely on us for their well-being and safety. By overfeeding our canine companions we are inadvertently contributing to a premature death or developing a debilitating disease. There are many theories as to why cats and dogs eat grass, the most common being that it is medicinal to help them vomit. However, statistics show that less than 25% of cats and dogs that eat grass are actually sick! There does not appear to be any nutritional value. Cats can regurgitate when they eat grass since they lack the enzymes which break down vegetation. This could be a way of eliminating indigestible matter from their stomachs. 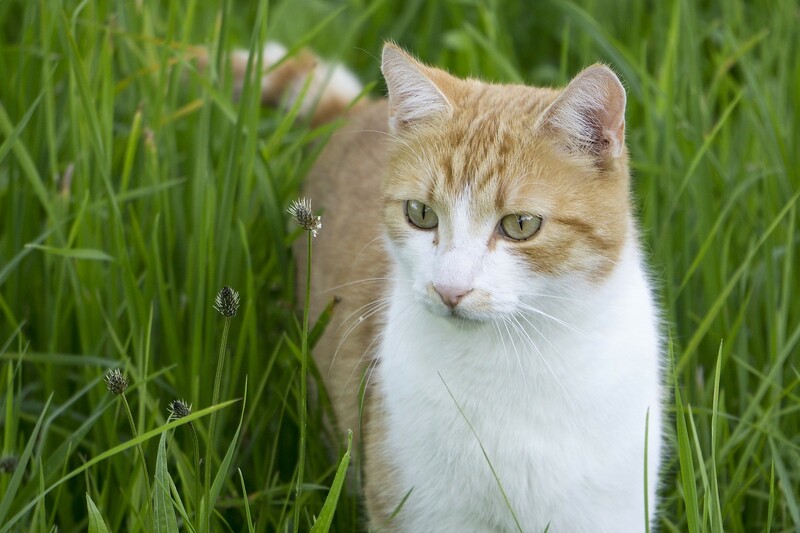 It is thought that grass could act as a laxative, helping your cat with regular bowel movements. 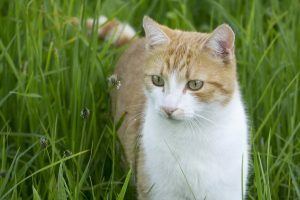 While researchers find that grass eating is relatively common in cats and dogs, it is rarely associated to illness. However, it is extremely important that dog and cat owners are particularly careful about using pesticides or fertilisers on or near your garden plants since they can be extremely toxic. To conclude, research has found that grass eating is extremely common that usually occurs in healthy animals and is not necessarily associated with illness or dietary deficiency. So, these are just a few reasons why our feline and canine friends may eat grass, but there is another. Perhaps they both just enjoy the taste! Our pet sitters were warned to be vigilant about this awful disease when first reported in 2012. The symptoms of Alabama Rot are skin lesions, ulcers and or sores, which can appear on a dog’s legs, body, mouth or tongue and within days this can lead to acute kidney failure. We continue to liaise closely with vets in all areas of the country where our dog sitting team work and receive regular updates as and when new cases are reported. This potentially deadly disease was first identified in the USA in the 80’s in Greyhounds and has been reported in at least 27 counties in England and Wales, while some cases in Scotland and Northern Ireland are yet to be confirmed. 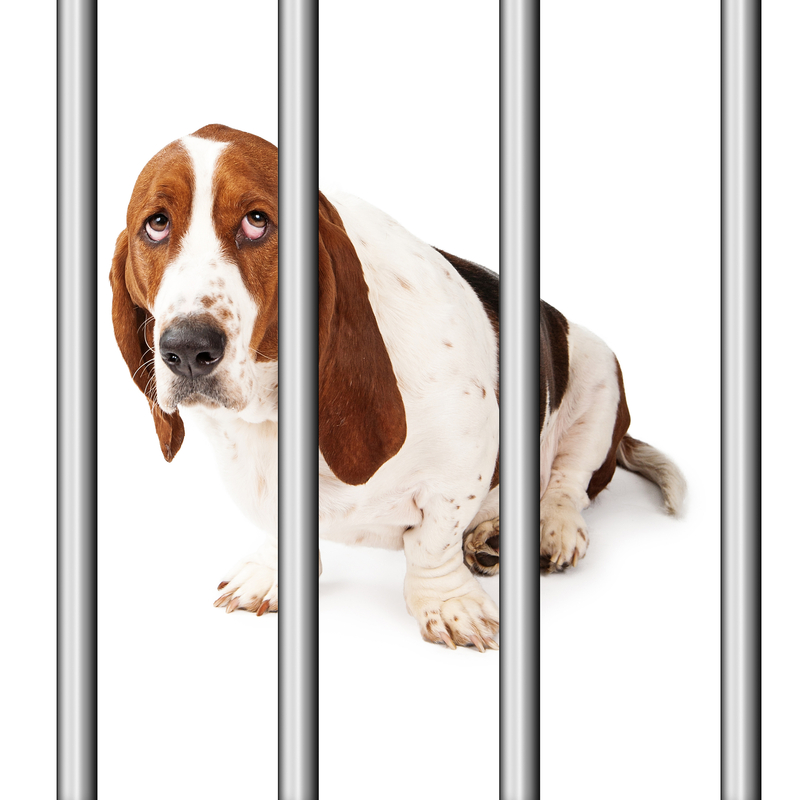 It is a growing worry for both dog owners and professional pet and dog sitters. Since the health and well-being of our client’s dogs are paramount, we remain alert at all times. From the information we have received, it appears that Alabama Rot is understood to be more prevalent in wet weather, especially in muddy woodland and particularly following heavy rainfall. There have been confirmed cases as far North as Scotland, The New Forest in Southern England and more recently Devon. In fact, we understand that one New Forest veterinary practise reported in March 15, that there had been over 102 suspected new cases in the UK, including 51 deaths, which were confirmed by postmortems. Our dog sitting team are keen to identify any reported cases, or areas affected by Alabama Rot, so knowing the warning signs are vital. If Alabama rot is caught early enough, your vet can evaluate if he/she has contracted the dreaded disease. It is advised that you keep dogs under close supervision when walking in muddy woodland, cleaning them thoroughly following their exercise. Can my other pets contract Alabama rot? To date it is not thought to affect other animals and we must keep this outbreak in context. There are approximately 8.5 million dogs in the U.K, with only a small proportion having been affected by this disease. However, vets are now asking us to take extra precautions when walking our dogs, in order to help combat the disease and to contact your practise immediately, if you suspect that your dog may be affected.